Mr. Sudhakar Rao, Former Chief Secretary, Government of Karnataka, is a retired Indian Administrative Service (IAS) Officer of the 1973 batch. After initial postings at the field level in the State of Karnataka, he went on deputation to the Union Government as Under Secretary in the Ministry of Power, where he was closely associated with the work of the path breaking Rajyadhakshya Committee on Power. He was Deputy Commissioner & District Magistrate of Shimoga District during 1982 and 1983. He proceeded on deputation to the Government of India once again after completing his district assignment, and was Deputy Secretary in the Department of Economic Affairs, Ministry of Finance for two years and Director in the Prime Minister's Office for two years, dealing with policy matters covering social sectors. Later he was Joint Secretary in the Ministry of Power, following which he was posted as Minister (Economic) in the Embassy of India in Washington for four years. On his return to the State Government in 2000, he held various assignments, including Chairman & Managing Director of the Karnataka Urban Infrastructure Development and Finance Corporation (KUIDFC), Principal Secretary, Finance; Principal Secretary, Home; Principal Secretary to the Chief Minister of Karnataka; Development Commissioner and finally, Chief Secretary of Karnataka. He retired from Government service in 2009, post which he was appointed Member of the Public Enterprises Selection Board (PESB). Mr. Rao is also an independent director on several boards. Mr. Rao has a Master's Degree in Economics from the Delhi School of Economics and a Master's Degree in Public Administration from the Kennedy School of Government, Harvard University. Mr. Rao was conferred the Kannada Rajyotsava Award, under the public service category by the Government of Karnataka in 2010. Dr. Meena Kaushik is Executive Chairman, Quantum. She started her journey as an academic studying symbolism and rituals around the death ceremonies of the Hindus. She did extensive fieldwork amongst the Dom community (untouchable death specialists) of Varanasi. This was for her doctoral dissertation from the Delhi School of Economics in 1979. She joined IMRB 1980-83 as a consultant and soon founded the Qualitative division for MARG as a Director of Qualitative Research. In 1990 she established Quantum with Srilekha Agarwal and Meera Vasudevan. Quantum now has a footprint across India, Sri Lanka, Bangladesh, Singapore, and Indonesia. She has recently established an Ethnography division > Quantum Ethnography and a Consumer Consultancy division > Quantum 360 Dr Kaushik's latest passion is brand workshops and she has conducted numerous insight and idea generation workshops for Clients. Meena is also a trustee of PTRC an organization that trains psychotherapists and provides psychotherapy to patients needing mental health services in Mumbai. 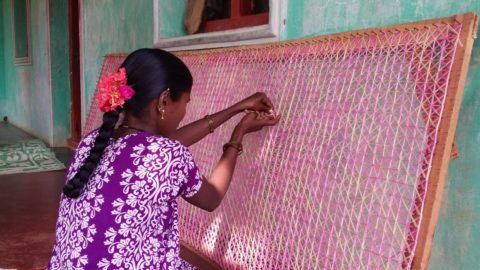 Radha Nair is involved in community related work and empowerment of women in the villages near where she lives in Bangalore. Her corporate career was with JP Morgan, New York in the '80s and '90s. She worked in the Capital Markets Group, Government Bond Sales and Eurobond Sales. Her last assignment, prior to leaving the Bank in 1995 to relocate to India, was to Head JP Morgan's Global Markets Training Worldwide. In India, Ms. Nair continued her association with the Bank by serving as a consultant to I-Sec, JP Morgan's newly set up joint venture in Mumbai. Prior to joining JP Morgan, Ms. Nair worked with a start-up payroll tax consulting firm in New York for four years and prior to that she was a lecturer at Delhi's Lady Sri Ram College while working on her Doctoral dissertation. In 2004, Ms. Nair was a founding partner of an equity research outsourcing firm Anthem Research in Bangalore, India. Between 2004-2008 she was on the Board of BOS (Business Outsourcing Solutions), Chennai. BOS provides specialized accounting and reporting support to pension funds in Australia. She has also served on the advisory council of ANEW (Association for the Non-traditional Employment of Women) from 1998-2001. ANEW was set up with the mission to train women in occupations like carpentry, auto rickshaw driving etc. Ms. Nair has a Masters in Political Science from Delhi University. She was the recipient of the Fulbright Scholarship in 1977. Vikram brings with him over 40 years of experience working for world-class companies. He worked in leadership positions at Unilever (17 years) and Danone a joint venture partner with Britannia (5 years), and at Colgate Palmolive (4 years) in India where he served on the Board. Vikram Kaushik is actively involved as an advisor on business strategy to a Tata Group company – Voltas; on the Board of MTS (Sistema) and Hemas, the second largest FMCG business in Srilanka. ; whilst also mentoring high potential start-ups like Amagi Media Labs, Lukup Media and Tagos. Trustee & Professor & Rector, St Pius College, the Seminary of the Catholic Archdiocese, Mumbai. Dr Nirupama Menon Rao is a retired Indian diplomat, Foreign Secretary and Ambassador. She joined the Indian Foreign Service in 1973 and had a diplomatic career spanning four decades. She was India’s first woman spokesperson in the Ministry of External Affairs, New Delhi, the first woman High Commissioner to Sri Lanka, and the first Indian woman Ambassador to the People’s Republic of China. She served as India’s Foreign Secretary from 2009-2011 and was appointed India’s Ambassador to the United States. She holds an honorary Doctor of Letters degree from Pondicherry University in India.